Maybe you tried numerous methods of getting a video onto iTunes, but all failed. Now you are in right place. 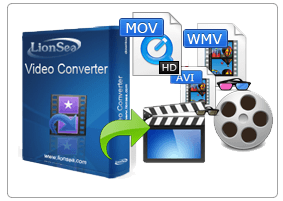 Video to iTunes Converter is what you really need. Step 1: Preparation for Video to iTunes Converter. Step3: Convert video to the iTunes you want. For Audio: MP3, M4A, AC3, AAC, WMA, WAV, OGG, APE, MKA, AU, AIFF, FLAC, M4B, M4R, MP2, MPA etc. For Video: TIVO, AVI, MP4, MPG, MPEG, NUT, H.264, NSV, VOB, MOV, FLV, MKV, MTS/M2TS/TS/TP/TRP(AVCHD, H.264, VC-1, MPEG-2 HD), MOD, TOD, DV, WMV, ASF, 3GP, 3G2, DRM MP4, RM, RMVB etc. iPod , iPod touch 4 iPhone, iPhone 3G, iPhone 3GS, iPhone 4, iPhone 4S, iPhone 5, iPad, iPad2, New iPad, iPad 4, Apple TV PSP, PS3 Xbox, Xbox 360 General mobile phone, BlackBerry, etc. General MP4 players: Archos, Creative Zen, iRiver, etc. Windows Mobile devices: Pocket PC, Dell Axim X51, HP iPaq hw6500 series, etc. Google phones: Nexus One, HTC Hero, HTC G2 Magic, HTC Tattoo, Motorola Droid2, Motorola CLIQ, SamSung i7500 Windows Phone 7: HTC Surround, HTC 7 Mozart, LG Quantum, Optimus 7Q, Dell Venue Pro, Samsung Focus, Samsung Omnia 7,Windows Phone 8,Windows Phone 9 etc.